PLP Architecture has unveiled designs for London's first co-living scheme, which is tailored to suit the changing lifestyles of young people living and working in London. 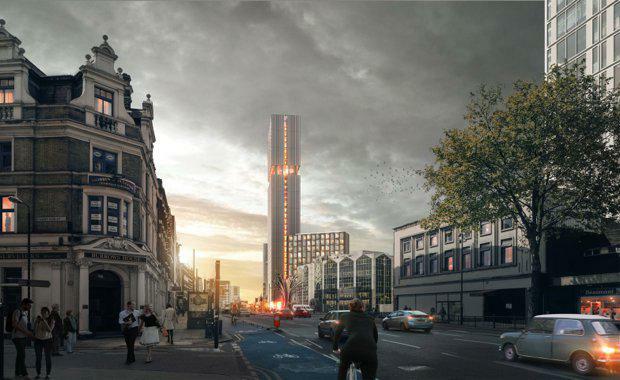 Partnering with developer The Collective, the proposed skyscraper will be built in London's Stratford, containing homes modelled on student accommodation. PLP, "The Co-Living component aims to create a long-term, sustainable community both within and outside the building with the intention to create an environment where the tenants rent for an extended period of time to ultimately establish roots locally and settle within the borough." Dezeen, PLP Architecture said, "A significant proportion of Londoners can no longer afford to rent or buy in the current housing market. ""Often, they are forced to rent substandard accommodation from part-time landlords who are not concerned with the quality of housing provided. "This limits housing choice, pushing London's workforce into substandard accommodation in areas they would not choose to live.